Watch full Naruto Shippuden Season 20 Episode 41 English Dubbed full HD online. Naruto Shippuden Episode 454 English Dubbed online for free in HD. Fugaku feeds the fish in the Uchiha compound, and talks to Itachi about the Sharingan as he leaves. Itachi is angry that Fugaku does not care that Tenma died, but hides it. Sasuke wants to play with Itachi, but he has a mission. Shisui tells Sasuke he has to borrow Itachi. Itachi accompanies Shisui in a three part training exercise. The two track a fugitive during the day, noticing decoys left along the way. At night, the two eat and talk. Tenma’s death continues to weight on Itachi. He tells Shisui he awakened the Sharingan. 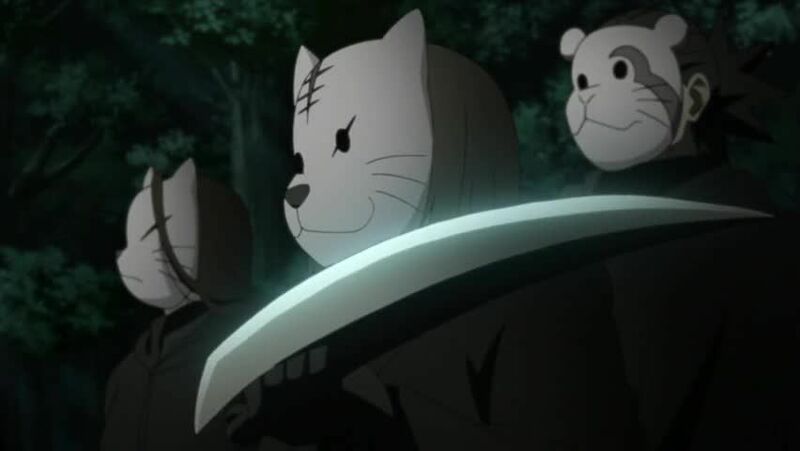 The two hear a fight, and arrive to find Root members attacking a Konoha Anbu, for a scroll containing information about a traitor. The attacked Anbu, a water clone, dissolves. The Root members remain unconcerned, having poisoned the real one. Shisui and Itachi fight the three Root members. Itachi turns a trap one of the Root Anbu set against herself. Shisui defeats one of the other Root members, who retreats with the other two. Shisui receives a signal that his exercise is over. The injured Anbu wants to keep the incident a secret. Shisui’s superiors are glad that no one got hurt, despite the fight not being a part of the exercise. Shisui tends to a small injury of Itachi’s, who still needs to get used to delay between his Sharingan’s perception and his reaction time. Shisui takes Itachi back to the Uchiha compound, and the two talk about the events of the day. Years later, Itachi joins the Anbu to watch Konaha from the shadows.